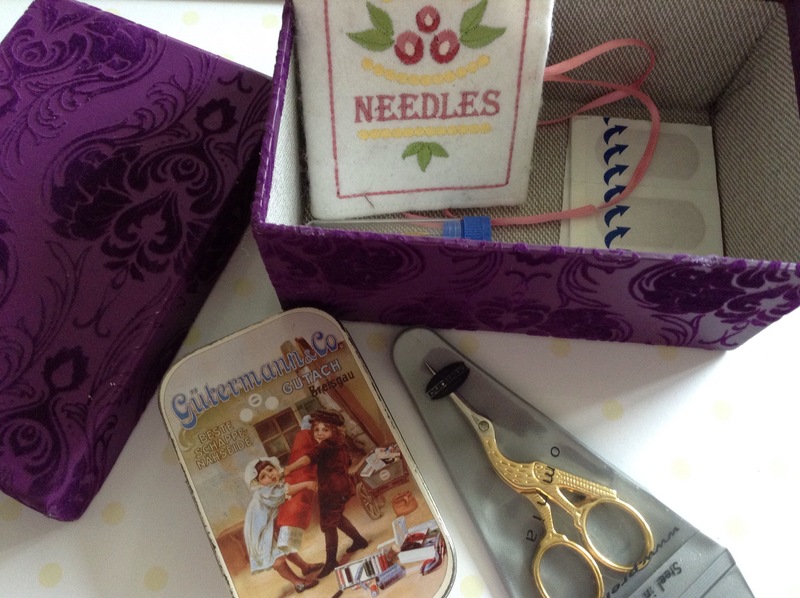 The next two photos show how I store my threads and my wee box that is always beside me ! I wind my threads round clothes pegs. 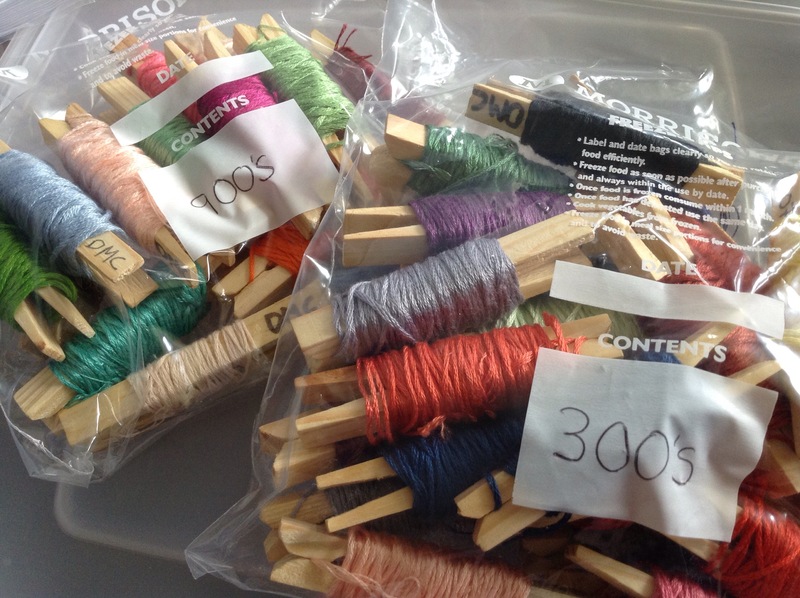 I seen this idea on Pinterest and it works really well for me, I just write the code number at the top end and can put the end if the thread in the end to hold it in place. I also found that this does not give me the kink in the thread that I find when I put it on bobbins. I really don’t like working with thread that has kinks. 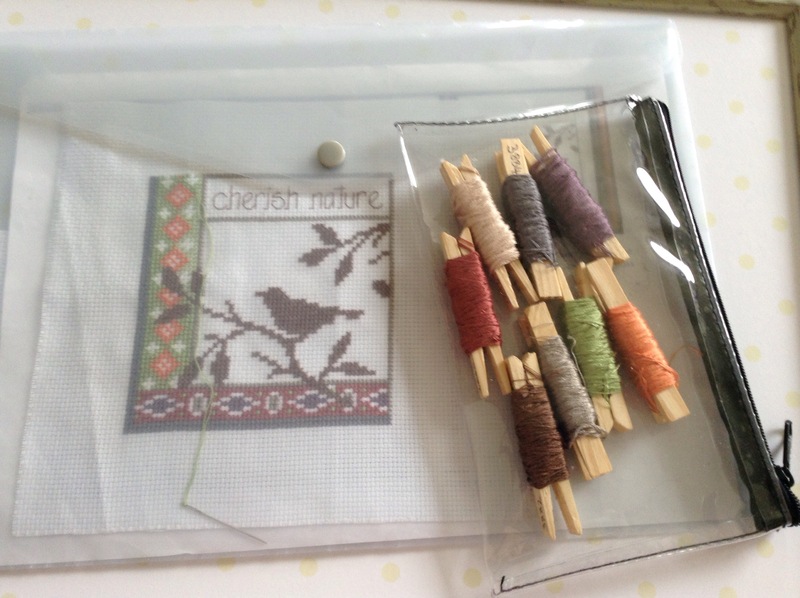 This entry was posted in Parts of one and tagged Cross Stitch. Bookmark the permalink.